For decades, the University of Southern California and the Spatial Sciences Institute have been committed to cultivating a global perspective, connecting students from around the world to one another in their pursuit of continued learning. The online format perfectly supports this mission, bringing access to USC’s acclaimed GIS instruction to students outside the United States. The online GIS graduate programs accept international students and welcome them to the Trojan Family. Please see the admission requirements for more information. The M.S. in GIST, Graduate Certificate in GIST, and M.S. 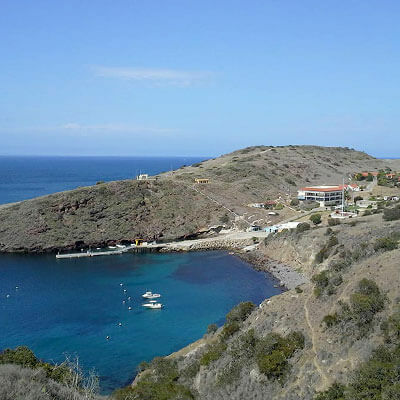 in HSGI programs do involve an on-site fieldwork experience on Catalina Island, one of California’s Channel Islands, that is a required element of the curriculum. Applicants from outside the United States should note that, because the program is delivered online, USC cannot grant online GIS students a student visa, despite the on-site component. The USC Office of International Student Services will assist students in pursuing a temporary visa for their time on Catalina Island. The programs also involve several meeting sessions, conducted live via webcam. International students must be able to work this into their schedule no matter where they may reside. They also should ensure that the technology and Internet speed is capable of handling streaming video and audio. International graduate applicants must demonstrate English-language proficiency by submitting either TOEFL/IELTS scores. International applicants are exempt from the TOEFL/IELTS requirement under certain circumstances. You can visit the graduate admissions page to learn more about USC’s policy regarding exemptions. USC does not waive the English-proficiency requirement based on any other considerations (work experience, ESL enrollment, etc.). To avoid delays in application processing, it is recommended that international students have their TOEFL/IELTS scores sent to USC when they pre-register for the examination. Copies of TOEFL/IELTS scores can also be uploaded along with the program application. Official scores must be received directly from the testing service and dated no earlier than 2 years (24 months) prior to the start of your intended first term at USC. If sending TOEFL/IELTS scores, the institution code for USC is 4852 (no department code is required). If sending IELTS scores, please choose “University of Southern California, Graduate Programs” from the list of available institutions of where to send scores on the day of the examination. Please do not enter the name and contact information of the specific intended graduate department. If you have any questions, contact an enrollment advisor.